* Insecticide made of natural pyrethrin and canola oil. * Use on vegetables, fruit trees, houseplants, ornamental plantings such as flowerbeds, groundcovers, shrubs and more. 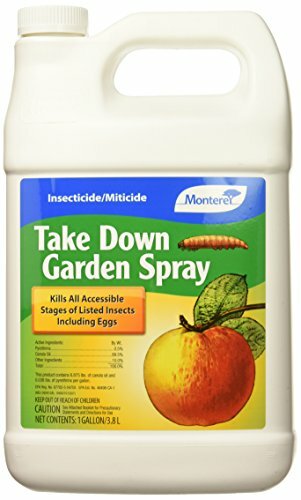 * Controls aphids, beetles, mealy bugs, caterpillars, plant bugs, etc. If you have any questions about this product by Monterey Lawn & Garden, contact us by completing and submitting the form below. If you are looking for a specif part number, please include it with your message.